Have you ever dreamed of sailing down the Danube or Rhine river in Europe, but you didn't know what to do with the kids? BRING THEM ALONG! 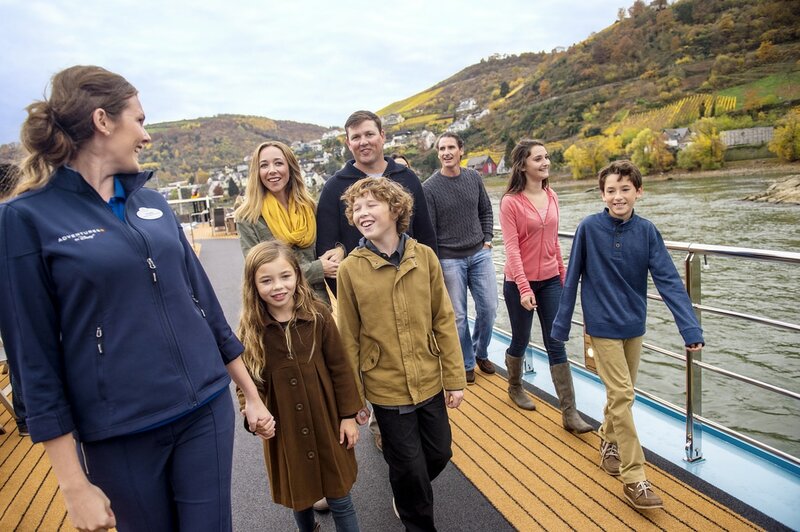 Disney has teamed up with AMAWaterways to offer family-friendly river cruises in Europe! AMAWaterways is one of the most luxurious river cruise lines in the water. The best way to describe this experience is IMMERSIVE, UNIQUE, AUTHENTIC. Adventures by Disney River cruises are designed to take you off the beaten path, immerse you in to the experience, and completely different than any other "cruise" or "tour" experience. Adventure Guide and local experts devise the ultimate experience for your family. Some people might think; "Disney, oh no, I don't want Mickey in Europe." It's not that style of Disney. 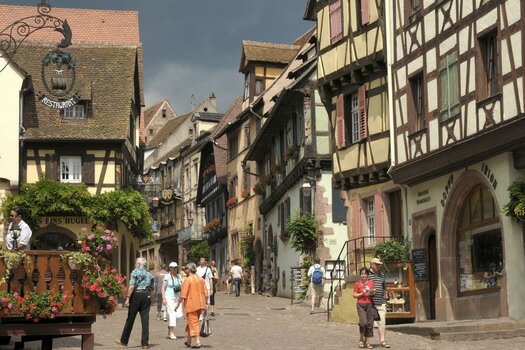 Imagine visiting the town, Riquewihr, that inspired the village in Beauty and the Beast, zipline through the Black Forest where the Brother's Grimm stories (Cinderella, Snow White, etc) originated, or visit Austria where the hills are alive with "The Sound of Music." Luxury accommodations in an oceanview or better stateroom. Multiple excursions to choose from in each port city. Adventure Guides, local experts, and Cruise Directors all at your service to ensure a fun experience. All onboard and dining gratuities. Fine dining served onboard (not banquet style like a typical cruise line) includes all three main meals. Unlimited local wine, beer, and soft drinks with every lunch and dinner onbord. Select meals off of the ship during excursions to delight in the local cuisine. Cocktail reception, welcome dinner, and Captain's Gala dinner. Onboard entertainment such as: piano lounge, baking class for kids, karaoke nights, and more! Bottled water in staterooms, replenished daily. The youngest age allowed onboard is 4 years old, excursions start at 6 years old, however the suggested age to start these adventures is 8 years old. This is to ensure that the children will get the most out of the immersive experience. 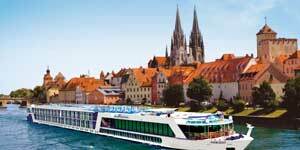 What makes river cruising different than ocean cruising? Smaller, and more intimate with around 160 rooms onboard vs 1,000+. Think VIP service! Sail through the heart of a city day and night. ​Dedicated guides who know the area because they are locals. More luxurious than an ocean cruise. A new city every day and no "sea days." Step off the ship and you're in town! The inaugural season sold out in just 87 days! So don't hesitate to book your 2018 adventure as soon as you can. An 8-day/7-night, all-inclusive adventure to 6 destinations in 4 countries—France, Germany, Switzerland and the Netherlands. You can add a 2 day/1 night extension in Amsterdam. An 8-day/7-night, all-inclusive adventure to 8 destinations in 4 countries—Germany, Austria, Slovakia and Hungary. You can add a 3 day/ 2 night extension in Prague. An 8-day/7-night, all-inclusive adventure to 7 destinations in 3 countries—Germany, Austria and Hungary.